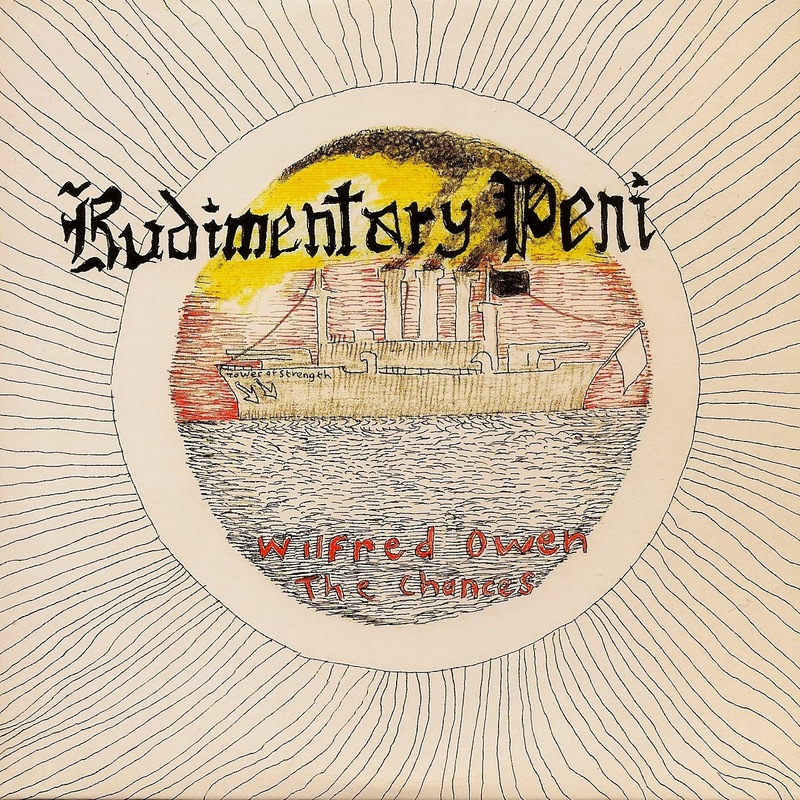 MUSIC NOT NOIZE: RUDIMENTARY PENI - Wilfred Owen: "The Chances"
Those who know me well know that RUDIMENTARY PENI is more than a favorite band, but more of a lifelong obsession. 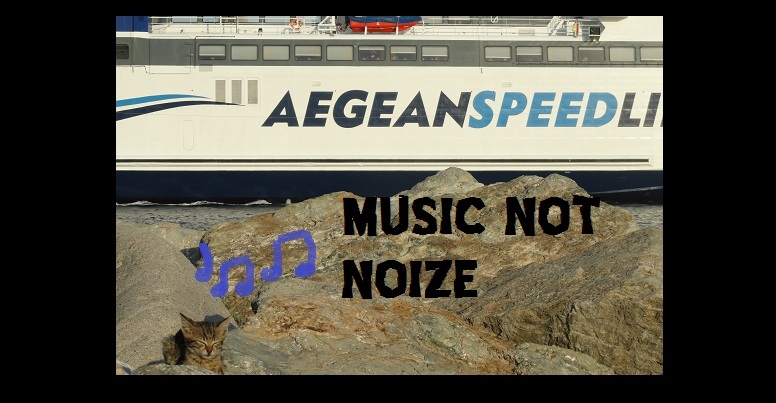 Their albums and EPs are not difficult to obtain, but it occurred to me that maybe this little song might be new to many PENI fans. Those of us lucky enough to have grabbed a copy of Nick Blinko's book The Haunted Head several years ago received a couple special treats. 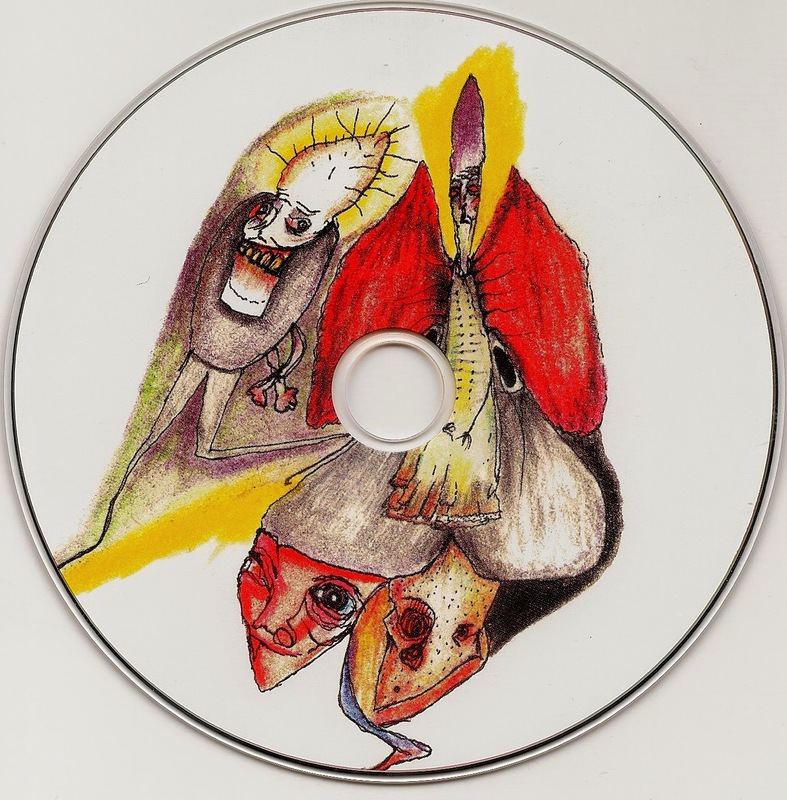 The book looks very nice and is...well let's say an "interesting" read, but along with it came a CD containing one new and previously unreleased song and a postcard with a page from the book, hand-written by Blinko himself. The song is pretty weird, and apparently taken from a piece written by Wilfred Owen "about the fortune of five British 'Tommies' during World War I." 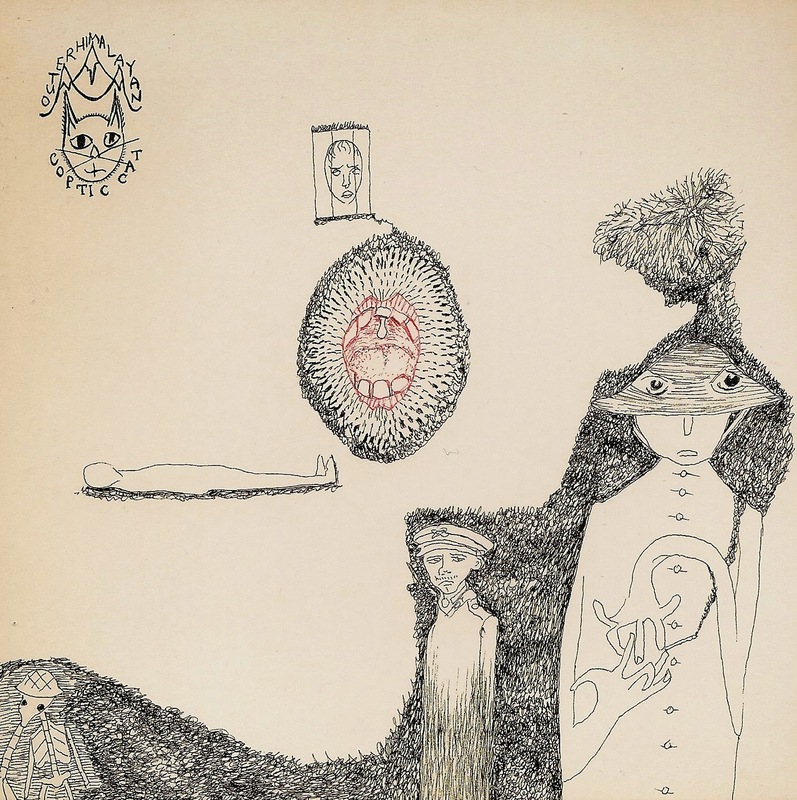 If you weren't one of the 200 or so successful book owners, here's a chance to check out this song. 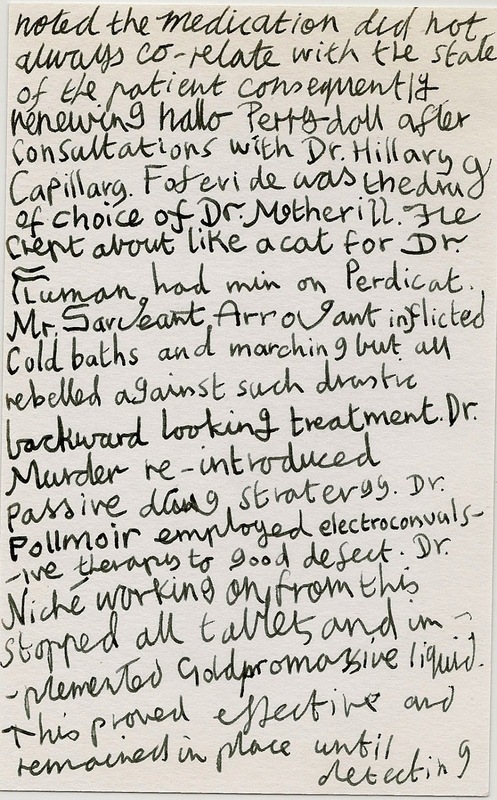 I've also scanned the hand-written card that came with my book. hey man, can i have your email? i want to send some stuff your way?